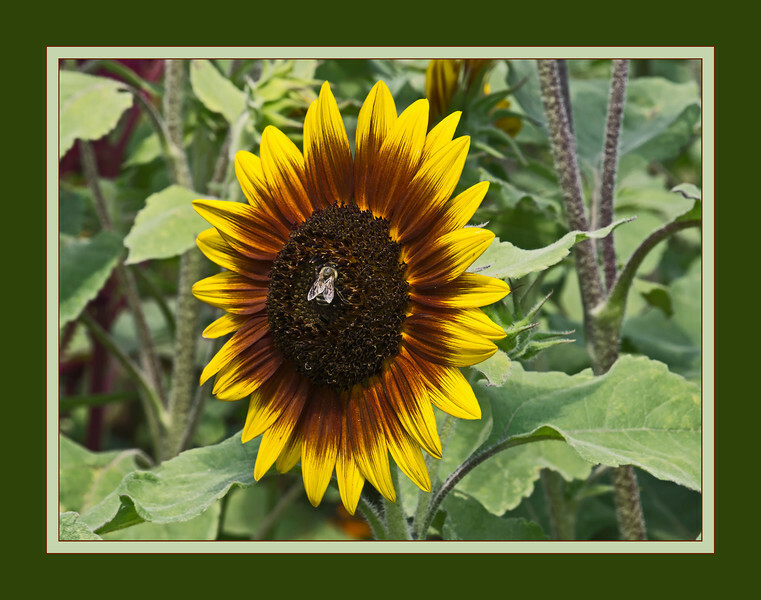 D201-2012 Sunflower cultivar with bee . Does it get anymore evocative of summer? Matthaei Botanical Gardens, Ann Arbor, Michigan.